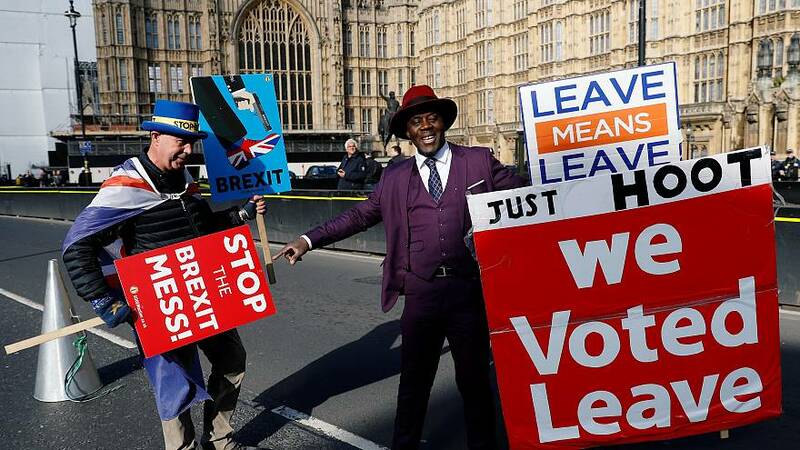 Nearly three years after the Brexit referendum, and three days before Britain was supposed to leave the EU, it still remains unclear how, when or even if Brexit will happen. Now a new opinion poll suggests that British voters are increasingly upset about the way the UK government has handled the process. The study, released on Tuesday by the National Centre for Social Research (NatCen), shows 81% of British voters think the government is handling the Brexit negotiations badly -- nearly twice as many as in 2017 — with Leave voters (80%) and Remain voters (85%) almost equally critical of the process. The research also shows a decrease in confidence in Theresa May’s proposed Brexit deal. Almost two-thirds (63%) believe Britain has got a bad deal, up from 37% in 2017. Why voters consider it a bad deal: 51% say it would mean that Britain’s future relationship with the EU would be too distant, while 20% think it would result in too close a relationship with the EU. "Mrs May has found herself being crucified by that polarization of opinion," John Curtice, Senior Research Fellow at NatCen Social Research, told Euronews. Watch his full interview by our correspondent Tadhg Enright on Euronews Now in the player above.